It is just so fun to work with & the result is cool, too. 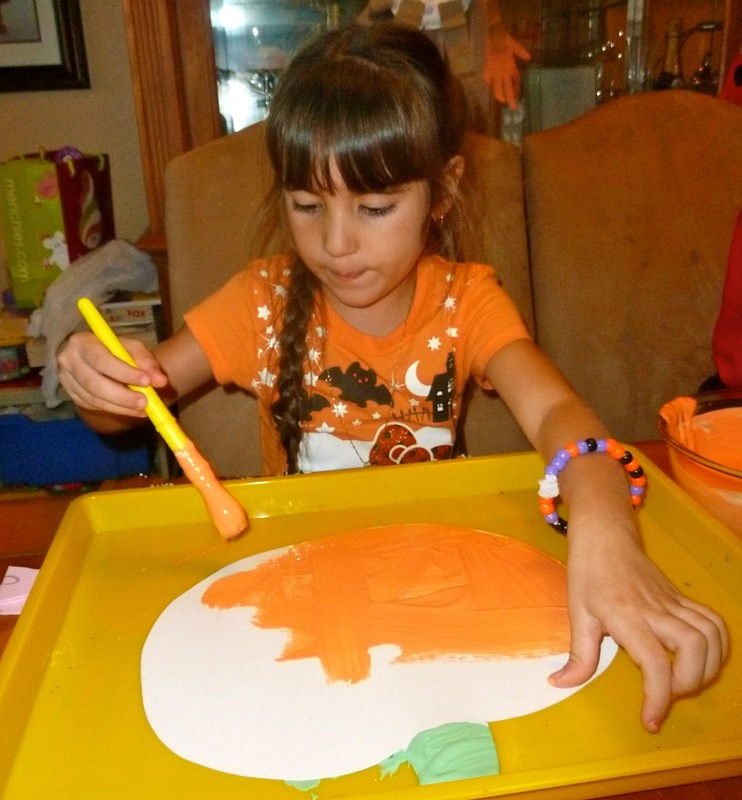 Prep: prepare puffy paint by combining food coloring/paint, glue & shaving cream. I do not measure but I am generous with the shaving cream (i.e) if I had to guess I'd say I use 2/3 shaving cream to approximately 1/3 glue. Using food coloring gives you a lighter texture but you can also use paint. 1. Have child draw pumpkin face on foam and cut out. 2. Paint pumpkin using puffy paint. Apply generously. The less you mess with it the puffier it will turn out. I find it best to glop it on by hand but my girls prefer to use the paintbrush. (the glue in the mixture will make it all stick). this is definitely the hard part for lil hands! 5. Enjoy your puffy paint pumpkins. 1. 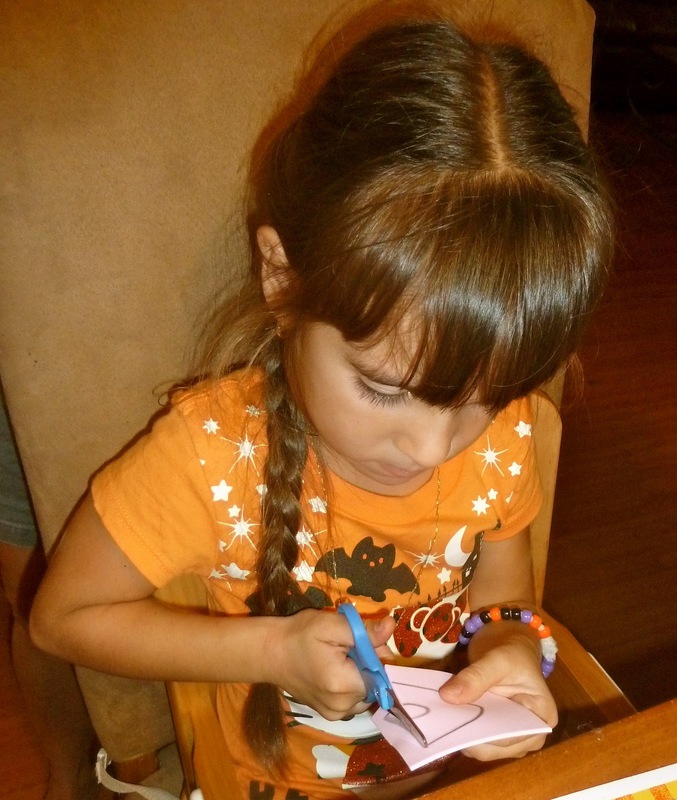 Write target sight words on pumpkin cut-outs. 2. Add face down onto green felt grass. 1. 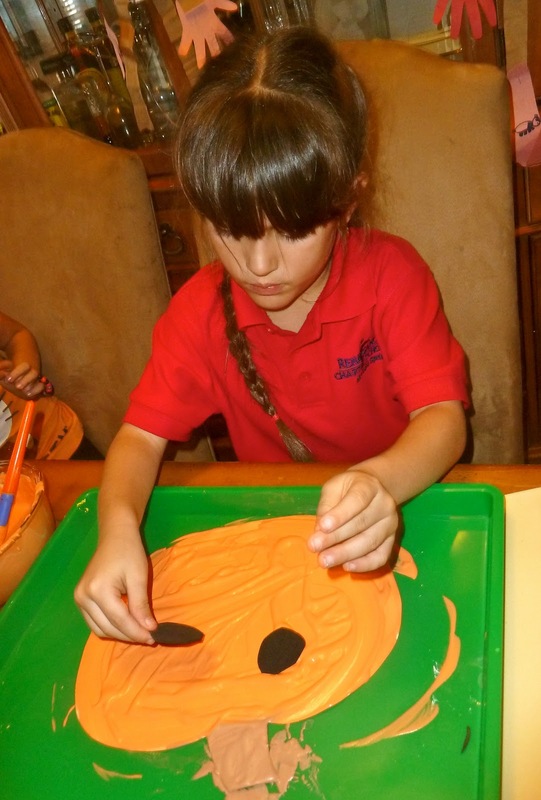 Children take turns flipping over pumpkins & reading the sight words. 2. If word is read correctly - they keep it & add it to their basket. If words is incorrect or not raed - it goes back to the pumpkin patch. 3. Continue until all pumpkins have been picked from the patch. Have you seen all of our other Halloween Fun? 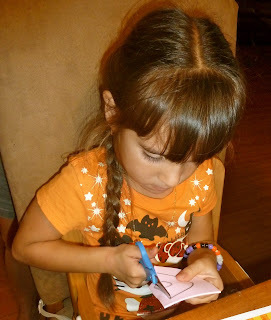 Stay tuned for more Halloween crafts & learning activities. Very cute! I have to say I borrowed your puffy paint recipe with the Gavmiester and he loved it. I am writing the post now and will link it here for the recipe! I need to try puffy paint again. My last time of using it the project did not turn out well at all. We are yet to make puffy paint! Have never tried it! 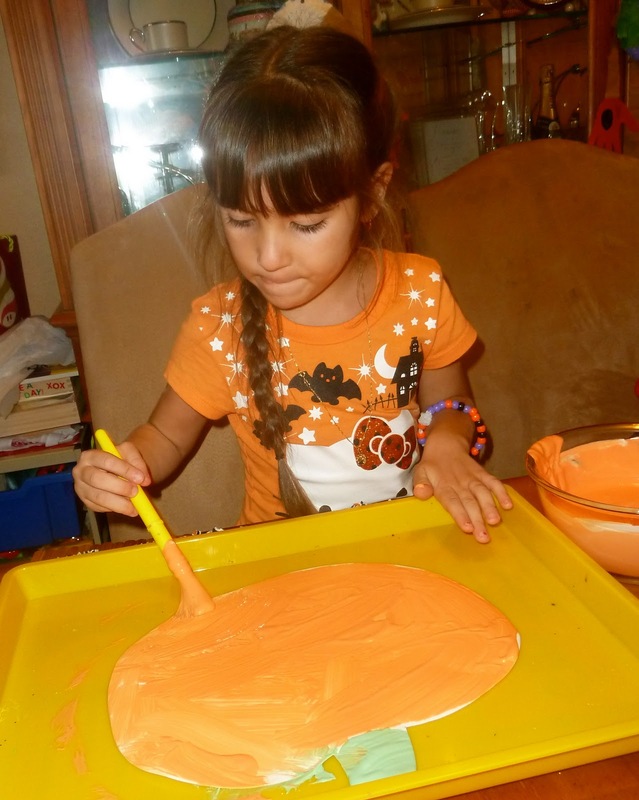 thanks for linking up to momstown arts and crafts - puffy paint looks like so much fun! Puffy paint is so much fun!! Come linky with Hey Mom, Look What I Did at Adventures In Mommy Land!! Soooo cute! And i LOVE that you even had green felt grass!! You amaze me. Thanks for linking this up to TGIF Linky Party!